We’re just a few days away from the official start to winter. It’s the season that lets us stay inside, curl up with a good book, play with our pets, and work on projects. With that in mind, we put together a list of products we think will help you enjoy winter. Here are this week’s Items We Adore: LTD’s Product Picks for the Week. Fresh Feasts Keep fresh-from-the-oven food nice and warm with this Warming Food Cover. 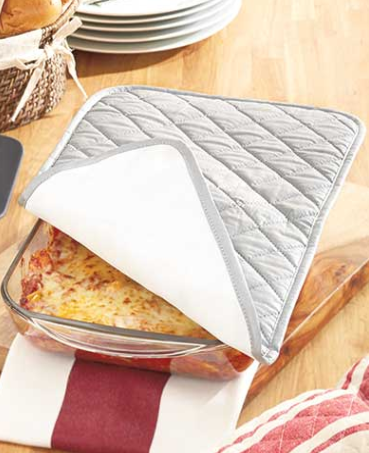 Great for potlucks, its quilted silver top with nonstick silicone backing keeps your dish warm and eliminates the need for reheating. Folds back for easy access to food. Not for use in the oven while cooking. 17-1/2″W x 10-3/4″L. 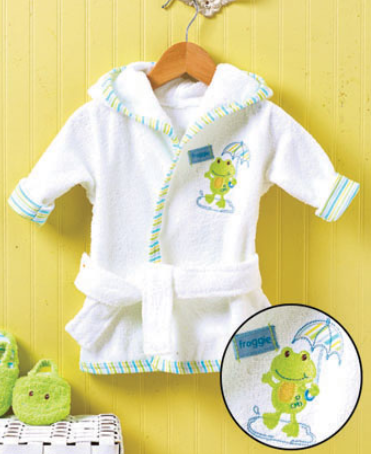 Polyester and cotton. Silicone wipes clean with a damp cloth. Imported. Showcase Your Talent Spotlight your achievements on a wooden Sports Shelf. Great for athletes in any sport, the Award Shelf (28″W x 7-7/8″D x 7-3/8″H) shows off trophies on the top, hangs medals from the 21 knobs at the bottom and displays pictures in between. Has spaces for two 3-1/2″ x 5-1/2″ and two 2-1/2″ x 4-1/2″ photos. 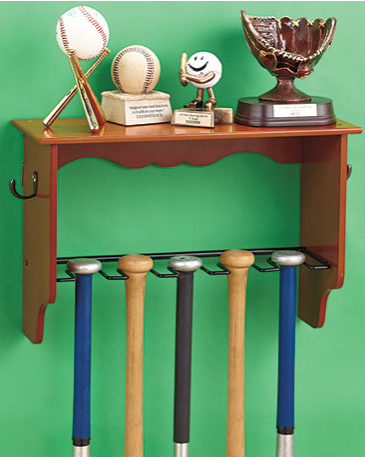 The Baseball Shelf (18″W x 7″D x 12″H) holds trophies on top and 5 bats on the built-in metal rack. Hooks on both sides can hold baseball caps or medals. Assembly required; assembly hardware included. Hanging hardware on back. Feline Frolic Give your cat an impressive place to scratch, perch, nap and play. 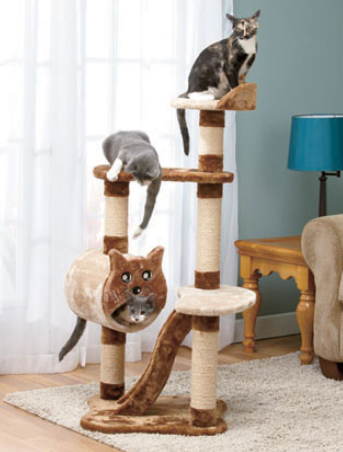 4-Ft. tall multilevel tower is ideal for households with more than one feline. Its 7 sisal-wrapped surfaces will satisfy kitty’s scratching instinct while cleaning his or her claws. Several plush perches provide spots to lounge. The hide-n-seek tunnel has a decorative cat face on its peek-a-boo door. Vacuum to clean. 48″ x 26″ x 20″. Wooden construction. Assembly required; assembly hardware included. 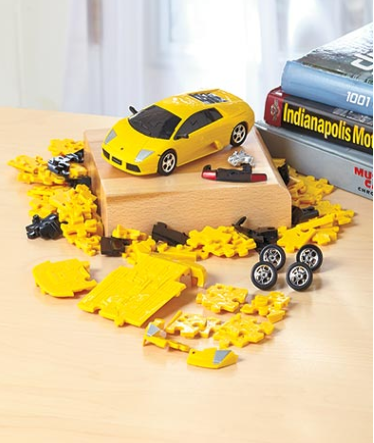 Engineer Envy Build your favorite car with a 1:32 Licensed 3-D Car Puzzle, then play with it! Detailed model is fun to assemble, and it also encourages kids to develop problem-solving skills. Approx. 5-1/8″W x 2-1/2″D x 1-5/8″H. BMW, 60 pieces. Lamborghini and Mini Cooper, 64 pieces. Plastic. For ages 8 and up. 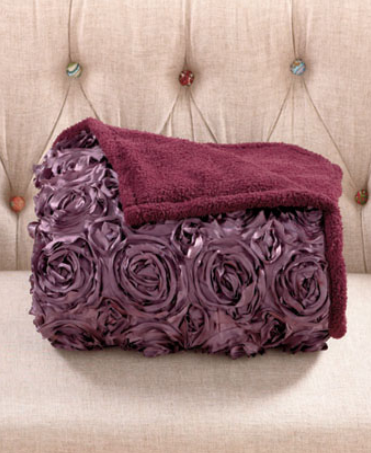 Cuddle in Style Take a room from simple to sophisticated by adding this 3-D Rosette Sherpa Throw. This beautiful item is an easy and affordable way to enhance the look of your living room or bedroom. The front is covered in appliquéd roses, and the back is sherpa fleece. 50″ x 60″. Polyester. Machine care. Imported.